While America is still battling with internal politics over legal online sports betting, here in Canada the discussion has moved onto the legalities of novelty and e-sports betting. Ontario Lottery Canada announced at the end of November that they will be looking for local or international partners to help expand their online and mobile sports betting options and facilities. Ontario Lottery Canada has said that they cannot give exact details on the final product offerings just yet as the plans are still in its infancy. First Ontario Lottery Canada wants to find the right partners to work with. Tony Bitonti, spokesman for Ontario Lottery Canada reiterated the growth of e-sports, novelty and live betting. He said that Ontario Lottery Canada takes note of the huge number of events and thousands of potential bettors who want to take part in diverse betting opportunities, but they do not have any safe and legal options through OLG. This has naturally given rise to unlicensed operations that aren’t afraid to cater to fan’s needs no matter how unscrupulous. The expansion plans are not just aimed at software and technology, OLG is also hoping to start covering more events for fans including naturally all the biggest sport and e-sport events in North America and Internationally. 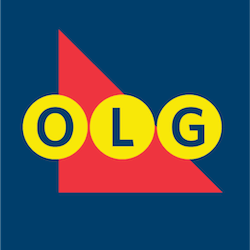 In addition OLG is also planning to update their retail lottery devices and it seems there will be a clean sweep of old tech for the company. OLG are only planning on picking a service partner by fall of 2018 so right now they are just hoping to get some talented applicants for the contract. This internal reform of Ontario Lottery Canada is a long time coming as 4 other Canadian states already have legal online, novelty as well as e-sports betting. British Columbia, Atlantic Canada, Quebec and Manitoba all offer these varied and diverse betting options. Ontario’s finance minister, Charles Sousa, said that the government fully supports Ontario Lottery Canada’s reform measures and modernisation, but he said they should focus on responsible gambling as well, to protect vulnerable individuals and children s this modernisation sweep has many pitfalls if you do not effectively manage your gambling network at all points. He emphasised the need for re-investment from within the industry in responsible gambling measures along with rooting out unlicensed gambling activities. While a big task is ahead of them, this is a very welcome move for gambling fans in Ontario.